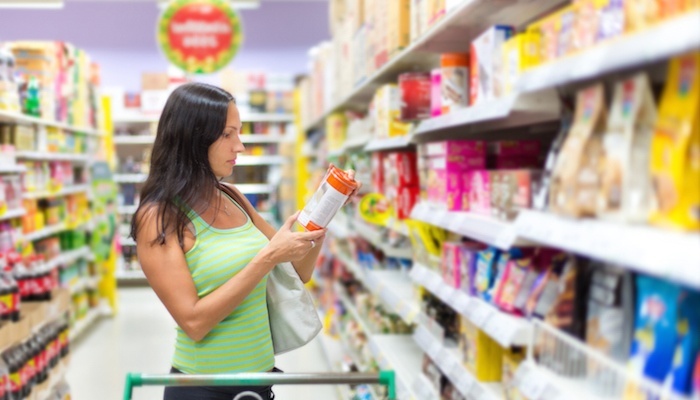 Consumers are scrutinizing product labels more than ever before. Research reveals that 72 percent of consumers read nutrition panels on food products, and that number jumps to 81 percent if the respondents indicated that they’re trying to manage their weight. The increasing label reading phenomenon is motivated by many factors, and ranking highly among them is a desire to find products with higher protein content. In addition, the latest research indicates that consumers are looking for cleaner labels, and three out of four are willing to pay a higher price for food and beverages made with wholesome ingredients they recognize and trust. However, no matter the motivation for reading product labels, one thing is clear: consumers are rarely willing to give up the flavor or texture of applications they love for a healthier option. There are several popular protein sources on the market including soy, rice, pea and casein. Whey protein, however, exceeds these other forms in terms of protein quality and nutrition, amino acid score, taste, texture, and even appearance. It often improves the taste and texture of many food and beverage applications due in part to its clean, neutral taste. Whereas it’s common for other protein sources to require flavor masking agents to conceal their unpleasant or distinct flavors. Protein is an excellent source of amino acids, helps dieters manage weight loss, and is proven to help increase bone density, lower cholesterol, and even reduce the risk for cardiovascular disease and stroke. Using whey protein as an ingredient in applications incorporates the benefits of protein while reducing calories and lowering fat. Those seeking to improve their health and athletic performance reach for protein-rich foods including protein bars, beverages and shakes—all products where whey protein can be used effectively. Manufacturers can meet the demands of consumers who want to avoid artificial flavors and ingredients. For example, Grande Bravo® Functional Whey Protein is made using a completely natural production process and can be labeled as “natural dairy,” and the product is USPH Grade A, Kosher Dairy, USDA and EU certified. Fresh dairy products and other protein-laden ingredients like eggs require refrigeration and special permits, storage and handling. These processes and requirements can add up to additional labor and facility costs for food manufacturers. Whey protein powder, on the other hand, is a shelf-stable ingredient, helping to eliminate the risk of contamination that is prevalent with fresh ingredients. Products like Grande Bravo® Functional Whey Protein provide a low-cost alternative for high-cost dairy ingredients like cream, butter, fat and cheese, also offering a great alternative to eggs in certain applications such as dressings, mayonnaise and no-rise baked goods. Food manufacturers can meet consumer demands and actually improve upon the original versions of their recipes by incorporating functional whey protein. To learn more about a low cost way to improve your food formulations, download our How to Improve Your Food Product’s Quality — While Reducing Costs eBook.